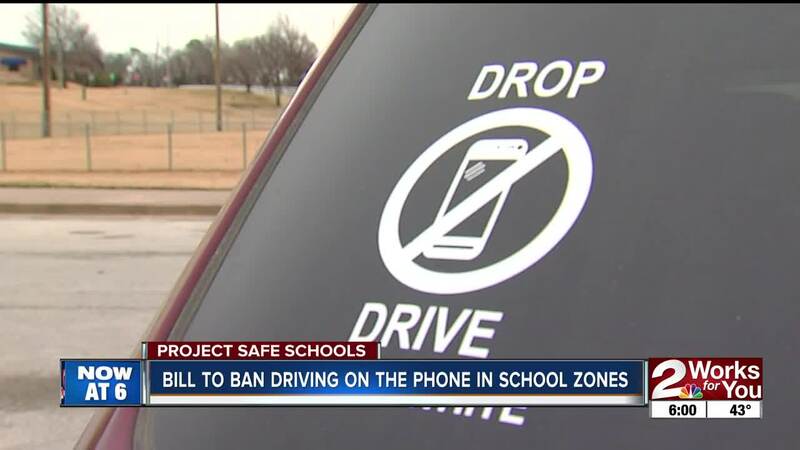 OKLAHOMA CITY — A proposed bill in Oklahoma would prohibit drivers from using phones in school zones. Senate Bill 17, also known at the Bobbi White Act of 2019, authored by Oklahoma Sen. J.J. Dossett (D-Owasso), would prohibit drivers from using handheld electronic communications devices while piloting a vehicle in motion during normal school hours. Dossett is teaming up with Gail Lambert, Bobbi White's mother. White was an Owasso ninth-grade teacher killed by a distracted driver in a construction zone in 2016. Lambert says White was concerned about students' safety in school zones, as she constantly saw drivers driving with their phones in-hand. "This is something she really wanted," Lambert said. "When she was killed by a distracted driver... you have to do something. As a parent you have to do something. And this is my something." Lambert and Dossett first teamed up in 2017, trying to ban cell phone usage in both school and construction zones. That was shot down. "I've been told it's too invasive," Lambert said. "And they're not ready. They haven't been ready. I just hope this changes that." The bill does allow the use of a device if it does not require hands to use. Violators would be punished by a fine of no more than $100. In 2015, Oklahoma lawmakers passed a bill banning texting and driving, but Dossett says no subsequent law has been put on the books to curb distracted driving.